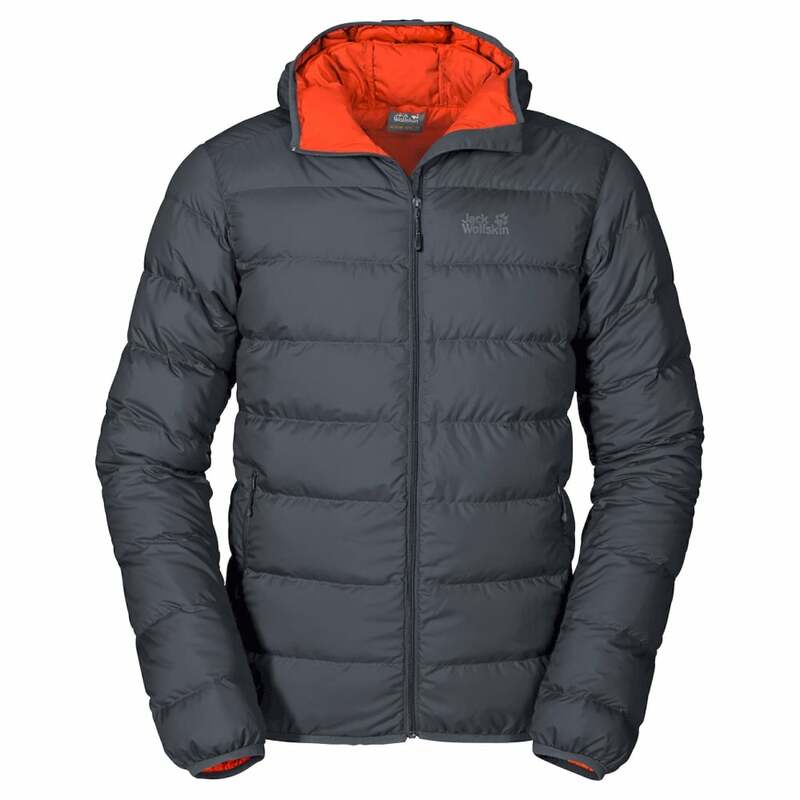 The Jack Wolfskin Men?s Helium Down Jacket is a super lightweight insulating jacket filled with high quality duck down. The 90/10 duck down filling with 700 fill power is exceptionally warm and lightweight providing warmth ideal for the colder months. The outer is windproof, water repellent, tear resistant and extremely lightweight. The entire jacket only weighs 435g (for a size L) and packs away small into its own side pocket. The Helium Down Jacket has a shorter overall length and has an integrated hood which hugs close to your head with elastic around the face.